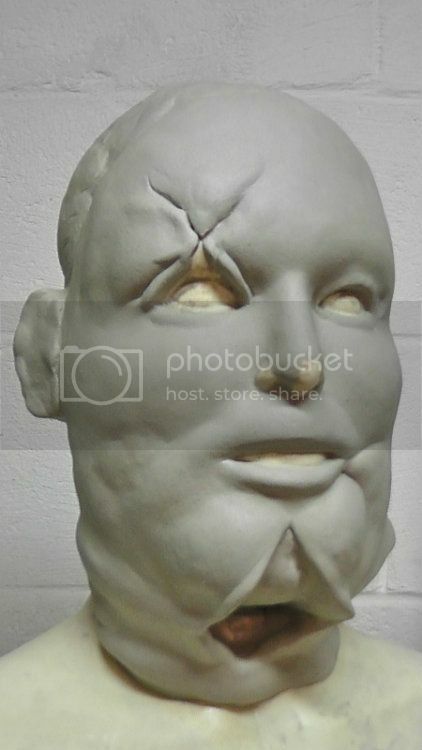 I'm excited to be starting veron 2 of my favorite mask, the Pretty Woman from Texas Chainsaw Massacre. I've been going frame by frame through the movie and a deleted scene to get the best reference material posble. I'll make sure to post a few more progress pictures soon. Sadly, the original sculpture took a dive and was bacally destroyed but I've started again. The release date has to be pushed back a couple weeks but expect it to pop on Miserymask.com by the end of May. I've got a lot of work to do still, but I'd love to hear what you guys think. The updated photo is above. Another update: I've done a few details and neck work. Hopefully I'll finish and begin molding when I get back from vacation in a week and a half.